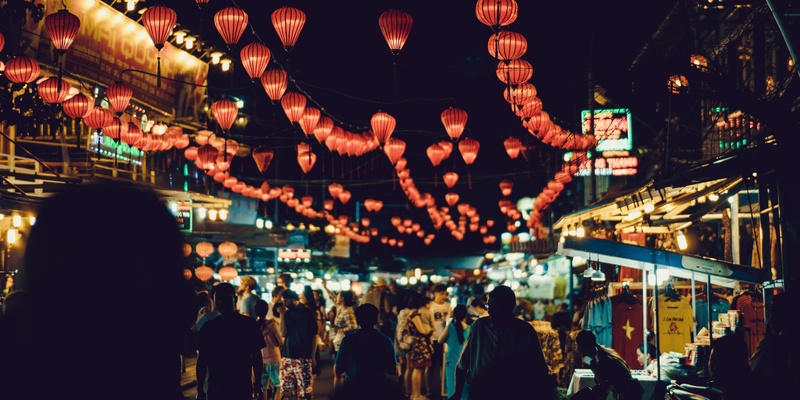 As one of the fastest and most stable-growing economies in Asia, Vietnam is an attractive market to explore and open up other developing markets in Southeast Asia. Vietnam’s macroeconomics alone are convincing, with a population of 90 million, consistent GDP growth of 5-6% over the last decade, relatively low costs and a literacy rate of over 90%. To help companies prepare themselves for business, Links has created a legislative page of the main employment laws and best practices in Vietnam. Please note that all the information listed below are to be used as a general guideline, for more detailed accounts of laws and regulations, please visit the official governmental websites. Company registration is required for any person/ company conducting business in Vietnam in accordance with Article 5, Decree No. 78/2015/NĐ-CP. Rep office and branch office of a foreign company must also register for a Licenses of Establishment of rep office/ branch office. According to Article 6, Part II, Circular No. 95/2016/TT-BTC, a taxpayer has to register for tax code within 10 days from the date on Business license/ Licenses of Establishment of rep office/ branch office. A company is able to open bank account in Vietnam after obtaining a business license, tax code and company stamp registration. The required documents are different between different banks. A company is required to register its bank accounts with Investments and Planning Department within 10 days from the date of opening bank account. A newly set-up company has to obtain Social Insurance (“SI”) code in order to make declaration and payment of Social, Health and Unemployment Insurance (SHUI) contributions for its employees. A company is required to use digital signature for submitting social insurance reports to SI Department as well as submitting tax declaration to Tax Office. According to current regulation, an employer has to obtain PIT withholding receipt book to issue PIT withholding certificate to employees. According to Article 119, Labour Law 2012, a company is required to register an internal labour rule with relevant authorities if employing for more than 10 employees. According to current regulation, an employer has to set up and inform their salary scales to the authorities. There are three elements in the Vietnam social security system including Social Insurance (“SI”); Health insurance (“HI”)’; unemployment insurance (“UI”); Trade Union (“TU) and accident insurance (“AI”). According to Article 4 of Decree 191/2013/NĐ-CP, an employer has to contribute trade union at the rate of 2% of employee’s salary (with it's cap) regardless of having grassroot trade union or not. Over 18 years old and have adequate health condition to match the demand of the job. High degree of specialized knowledge, qualification and technology; experienced in management, business and other professions that the domestic labors cannot currently conduct efficiently. If foreigners want to work in special jobs in education or health, they are required to meet all requirements of conducting health and education work of the Vietnamese authorities. Have no criminal record in their living country, Vietnam or other countries; being not under any warrant of arrest or jailing by the Vietnamese or foreign policemen. However, there are some foreigner employees who are not required to apply for a work permit/work permit exemption certificate provided are professors, experts, directors, technicians and come to Vietnam for less than 30 days per time and accumulated staying days is under 90 days per year. The first type is the common minimum wage, which is used to calculate salaries for employees in state-owned organizations and enterprises. The common minimum wage will go from 1,390,000VND /month to 1,490,000 VND /month , starting 1 July 2019. Region IV: VND 2,920,000/ month. Region I covers the rural and urban districts of Hanoi, Ho Chi Minh City, Hai Phong, Bien Hoa City, Thu Dau Mot City, Vung Tau City of Ba Ria-Vung Tau Province, and some rural districts of Dong Nai and Binh Duong Province. Region II covers the remaining rural districts of Hanoi, Hai Phong, Hai Duong City, Hung Yen City, and some rural districts of Hung Yen Province. Region III covers the remaining provincial cities, Chi Linh town, and some rural districts of Hai Duong and Vinh Phuc Province. Region IV covers the remaining localities. 14 leave days for employees who are working on heavy, hazardous or dangerous job positions or working at harsh living conditions as regulated by related laws. 16 leave days for employees who are working on extremely heavy, hazardous or dangerous job position or working at extremely harsh living conditions as regulated by related laws. According to Article 110, Labour Law 2012, employees are entitled to at least one rest day per week. As regulated in Article 106, Labour law 2012, any working hours beyond normal working hour as regulated by law, collective labour agreements or internal labour rules will be counted as overtime hours. Overtime should not exceed 50% of regular working hours per day. Different pay schemes apply to overtime work according to the time of which the work was conducted at, which should be properly indicated for payroll. 60 days: probationary period of up to 60 days for positions which require professional and technical qualification of collegial or higher level. 30 days: probation period of up to 30 days for positions which require professional and technical qualifications of intermediate vocational level, professional secondary level, or technical workers and skilled employees. Salary during probationary period will depend on agreement of employee and employer, but must not lower than 85% salary of the job. SHUI contributions are not required during the probationary period. During probationary period, employer and employees have the right to terminate probation contract without notice in advance. An employer can terminate labour contract with employees before the expiration if the employee dies, goes missing, loses civil capacity, reaches retirement age, is sentenced to prison or prohibited from performing the job in a court ruling, reaching mutual agreement to terminate labour contract early; a dismissal of the employee under a disciplinary procedure; a restructure of the company or based on the right of the employer to terminate the labour contract unilaterally. In case employer unilaterally terminate labour contracts with employee, the employer is obligated to give notice in advance before unilaterally terminating. The notice period is 45 days for an indefinite term labour contract; 30 days for definite term contract and 3 days for contracts under 12 months. An employee who has worked for the company for over 12 months is eligible to severance payment. The severance payment consists of a half month’s salary for each year worked that not contributed unemployment insurance (i.e. probationary period, maternity period, etc.). Volunteer private health insurance is not required by the law. However, it is common practice in Vietnam for employers to offer that insurance to employees. Female employees are entitled to 6 months of maternity leave with 100% of salary (the average salary of the last six preceding months) paid by Vietnam Social Insurance’s authority. In case of a multiple births, there shall be an extension of 1 month on the leave period for each child from the second child onward. When the female employee has taken at least 4 months of maternity leave, she can return to work, provided that the employer agrees. In this case, besides the wage of the working days paid by the employer, the female employee shall continue to receive the maternity allowance, in accordance with the Social Insurance Law. A male employee is entitled up to 14 days of paternity leave within the first 30 days after the day of childbirth. The number of day off depends on whether it is a single child or more and it is a natural or a surgical birth. Employees are entitled up to 60 days of sick leave with 75% of salary paid by Social Insurance’s authority. The number of day off depends on the length of social insurance contribution period. Resident taxpayer is subject to Personal Income Tax (“PIT”) on worldwide employment income at progressive rates regardless of where the income is paid or earned. Non-resident taxpayer is subject to PIT at flat rate of 20% on income earning in Vietnam. An employer is obligated to withhold PIT from employee’s salary and transfer to tax authorities on behalf of their employees. Tax payment will be paid on monthly/ quarterly basic. An employer is obligated to conduct PIT Finalization on behalf of employees who are qualified to authorize employer to conduct their PIT finalization on their behalf at the end of year. 90 days after the year end for PIT Finalization declaration. In Vietnam, it is common practice to pay salary to employees via their bank account. The payment period will depend on company policies/ practices but employees should be paid at least once per month. 13th month and bonus payments are not required by the current law. However, employers usually offer 13th month to employees in Vietnam.